It's a call I get frequently. “Hi, the site looks great, but some of the graphics have gray backgrounds? ?” “Uh-huh”, I say with a sigh, “What browser are you using?” “INTERNET EXPLORER VERSION SIX”. 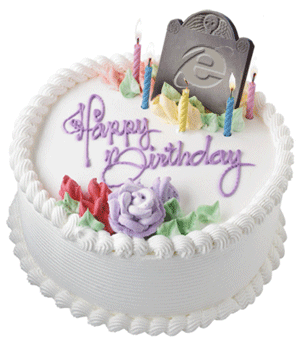 IE 6 was released on August 27, 2001. It will soon be 8 years old. In the fast paced, constantly evolving world of the web, eight years is a lifetime. Please allow me to put it in perspective. As you can see, these were the old days of the Internet. The Internet was just really beginning to blossom. This was before “Web 2.0”, before Twitter, before MySpace. This was before 9/11 and before the Iraq War. Microsoft was releasing their latest version of Windows called “Windows XP” and IE6 would be the cutting-edge browser for the latest OS. And it was pretty good actually. For the web of 2001, everything was fine. And as Windows XP exploded in popularity, IE 6, exploded as well, catching 95% market share at its peak. The problem was, as the Internet evolved, IE 6 didn't. Security holes were found and MS tech devs were slow to patch them. New technologies were crippled due to IE's lack of support. IE never really adapted to developments and support of new web standards because, well, when you have 95% market share... you call the shots. As time went on, the Internet kept exploding in popularity and new developments were emerging while IE6 remained Ol' Not So Faithful, still lagging behind the times. And so it went until Microsoft released Internet Explorer 7 in October 2006. Internet Explorer 7 wasn't perfect, but was lightyears ahead of version six and supported all the latest new technologies of the web. All users of Internet Explorer 6 upgraded to 7 and web developers were able to keep creating and developing new, useful technologies knowing that visitors could properly view them. The End. The newest upcoming web technology is HTML 5. If you don't know, HTML is the code of websites. HTML is what tells the browser the content of the page and how to set it up. It's the “meat and potatoes” of websites. It's the code that makes the links link, the images appear, and the paragraphs ... well, show up as paragraphs. And HTML 5 is bringing an arsenal of new goodies for the programmer. We're going to get video and audio tags to easily embed videos on a page and make sounds. We're going to be able to choose custom fonts so you can get something nicer than just Arial or Roman. There's also going to be really awesome interaction between the browser and your computer, which will allow web applications to easily load files from your computer and also save files to your computer. But if you still have IE 6, you can't load HTML 5. Sorry! So when the new websites come out that utilize these great new features, IE 6 users will either be able to not use them or smart programmers will have to spend countless hours trying to develop new ways to force them to work on IE 6 either by making the user download Java Applets or install 3rd party programs to fake and hack the system. All in all, for IE6 users, it's not going to be the rich experience you'll get with a newer browser. But why wait? Here are some basic problems you can experience right now with IE 6. PNG Graphics that have transparency... aren't transparent. In the parts they are supposed to be clear, they are greyish-white. CSS, the style code that gives the HTML its “look” and placement, doesn't work right in IE6. When you want to put something in a certain place on the page, sometimes in IE 6 it doesn't go there. When you want to put things on the page side-by-side, quite often they'll appear on top of each other, pushing themselves and everything under them down, breaking the entire layout. There are security holes. Big ones. Hackers can exploit flaws in the code to crash IE and steal your data. Overall nasty stuff. Some of the major players in the web world are sick and tired of doing this. Everytime they want to add cool stuff, they have to either hide it from IE 6 users or spend time coding hacks and fixes to make it usable. Now, when you go to Facebook.com in IE 6, you are greeted with a message stating “You're using Internet Explorer 6 to browse Facebook right now. Facebook will work better for you if you upgrade to Internet Explorer 7 or switch to another browser.” It then gives links to download those other browser. But Facebook isn't alone, Digg.com, a popular user-submitted news site, and Youtube.com are planning to completely cut off IE6 users soon. You won't be able to use the site until you upgrade to a more current browser. But is this a good thing? How is it good to completely cut off users' access to your site, especially when we know that a lot of the people can't upgrade to IE7 even if they wanted to? Well, the death has been a long time coming, it's been slow and agonizing... but it still hasn't died mainly because of this mindset. No one has tried to kill it. Everyone has been afraid to cut these poor souls off. Instead, we go out of our way to support them! But, by cutting them off, you're really doing them a service. All the coders of the Internet need to get together and simply stop supporting IE6. We can take the time that would be spent creating hacks and instead use that time to convince visitors to make the switch, if they've been holding out due to laziness. Or have them complain to their IT department until they get upgrades to new browsers. When that day arrives, the day that IE 6's market share approaches 0%, not only will web developers rejoice, but the Internet as an informational and creative medium will improve for users.